​Whetting Our Appetite With Miss Farm Girl herself! We caught up with our good pal and neighbour Rose Mann, founder and creative brain of much loved Farm Girl Cafe. Rose shares with us her inspirations and her secret to curbing the dreaded SCS (sugar craving syndrome!!!) Her holistic and healthy, yet comfortingly simple approach to Australian cafe culture, is nestled in the heart of Notting Hill. Farm Girl values fresh, nutritionally nurturing ingredients, and delivers them in a warm and welcoming environment. Don’t be fooled by her stylish exterior, Rose Mann may have a penchant for Charlotte Olympia ‘Kitty’ slippers, but she can milk a cow like a pro and isn’t afraid to get her hands dirty when there’s a roast ‘chuck’ to prepare. The original Farm Girl, Rose’s childhood spent on an Australian dairy farm means she’s hardier than she looks and appreciates simple country living just as much as the slick-city life she now enjoys in London. 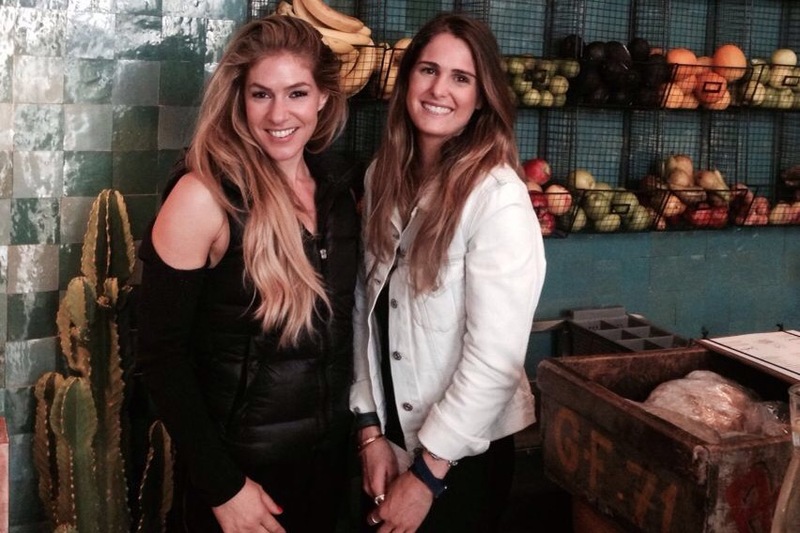 We sat down with Rose to discuss all things health and fitness. I started my business because I had/have a serious penchant for coffee. I was always on the look out for the best quality coffee and found it challenging to find. Farm Girl basically evolved from my passion for coffee and good quality produce. When I opened Farm Girl two years ago, there was a real shortage of healthy cafe’s, particularly in the Notting Hill area. Tess Ward, The Yes Chef is a huge inspiration to me, Tess has wonderful recipes and her cookbook, The Naked Diet is for me what healthy eating is all about. Simply celebrating, healthy, delicious everyday food. I also love the Goodlife eatery, another great spot for delicious healthy bites. It’s an unprecedented time for us health foodies, in London right now, so much choice and variety. What’s your current fitness regime? I love Yoga and taking my dog for long walks. I’m also crazy about Elissa’s METcore Pilates class at FORM. It’s a great full body workout, I always finish the class on such an incredible high! You can’t beat it! What’s your favourite pre and post workout snack? Pre workout: I know it’s not the best but I just love a cup of coffee accompanied by a banana or apple. Post workout: I’ll have a smoothie or anything with eggs. My favourite is our Farm Girl Lentil salad with a poached egg. Tip – How to stop the sugar cravings? Apple Cider Vinegar. I drink a tablespoon neat daily and have done so since I was young. I would also recommend our Farm Girl Latte Black, a double shot blended with activated charcoal & date syrup. It’s a new addition to our menu and is a speciality drink, comprised of activated charcoal, date syrup and steamed cashew milk. The Latte Black is a real tastebud pleaser but also, is equally gut-loving and nourishing. The main ingredient, activated charcoal, is praised for its numerous health boosting properties such as removing toxins from our body that cause poor immune system function, increasing energy levels and mental function. It also helps hangovers, and is anti-ageing! What is your favourite class at Form? If I’m feeling energetic, it’s got to be METcore Pilates! It’s my absolute favourite class at Form! But I also love FORM’s PURE (pilates) class for a non-sweat, toning and stretching sesh. What’s in the pipeline for Farm Girl? And we’re super proud to be featured in April’s edition of Women’s Health, on sale next month.